The Edinburgh parliament voted by 69 votes in favour and 59 against in a rebuff to British Prime Minister Theresa May. 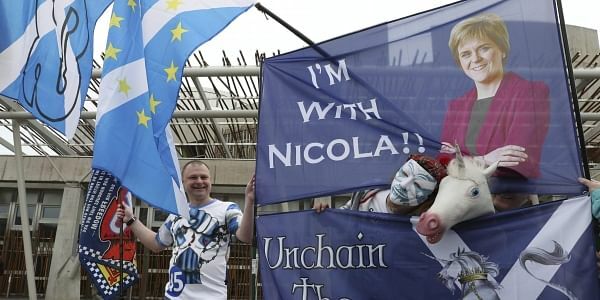 EDINBURGH: Scotland's parliament today voted to allow First Minister Nicola Sturgeon to make a formal request to the British government to hold a new referendum on independence, on the eve of the formal launch of Brexit. The Edinburgh parliament voted by 69 votes in favour and 59 against in a rebuff to British Prime Minister Theresa May, who had argued that a 2014 referendum against independence had already settled the question.